Kate Becker is a staple in the wedding photographer community. Her work exudes adventure, heart, timelessness, and just pure joy. And if you've been lucky enough to meet her in person, you can sense all of this when you spend time with her. When she's not photographing adorable couples, she's traveling to National Parks with her hubby, building her home from the ground up, gutting a camper and making it into another business, and playing with her pup. There is seriously nothing this woman cannot do and for that, I am amazed by her. Read on about this cutie and do yourself a favor and book her for your next photo session. Kate! Tell me all about you and how you got into photography! My name is Kate and I am a photographer located in Minnesota! I shoot weddings, brand/commercial work, seniors, and anything lifestyle. My photography career started as most others’ do, it was a passion of mine that grew into a business. When I was 18 and deciding on what I wanted to do with the rest of my life, photography was at the top of my list, but I had doubts that I would be able to build a sustainable career out of it on my own. With all of the social pressure to go to a 4-year school and get a degree, I decided I would pursue another artistic passion of mine, graphic design. I did my first official photoshoot right before leaving for college and quickly discovered that this was the path I was meant to take. I started doing photo shoots for my friends and family, and soon enough, people were reaching out asking if they could pay for my services. So, I did what any 19 years old would do: Started a blog and a FB page, and hit the ground hustling! I quickly decided that spending 4 years studying graphic design was not the best use of my time or money, so I transferred to a tech college where I got my marketing management degree and learned all about how to run a successful business. Now, almost 8 years later, here I am! I feel like I fit somewhere right in the middle between the “bright and airy” and “dark and moody” photography! My shooting style is very photojournalistic and documentarian. I love to capture moments as they happen organically, and tell a story with all of the small, in-between, imperfect moments. It can sometimes be difficult to do this on a wedding day because of course, you do need all of the posed & styled shots as well, so this is something that I am continually pushing myself to do with my work so I can tell a better story on a wedding day or at any lifestyle or brand session as well! My why with every type of photography I do is to be a light to others during our experience together. I love to make people’s day brighter and to make them smile. I want to make them feel beautiful and loved and important. I love it when people can look at their photos and feel grateful for the life, love, and bodies they’ve been given. When I can capture their memories in a way that I achieve that, I’ve done my job. Specifically, with wedding photography, my ‘why’ is the legacy my photos leave behind. I get to create imagery that will get passed on for generations. I want a couple to look back at their wedding photos in 50 years and be able to remember exactly what that day felt like… not just what it looked like. Many years from now from now, I want future generations to look at the wedding photos that I have created and be able to imagine what it was like to be there on that day, too! When a couple books you, what can they expect out of their experience preparing for the wedding and the day of the wedding? I am a super laid back, go with the flow person, so the last thing I want my clients to feel is stressed when they think about photography before or on their big day! I know that they have a million things on their plate before their wedding, so I try to simplify things as much as possible. 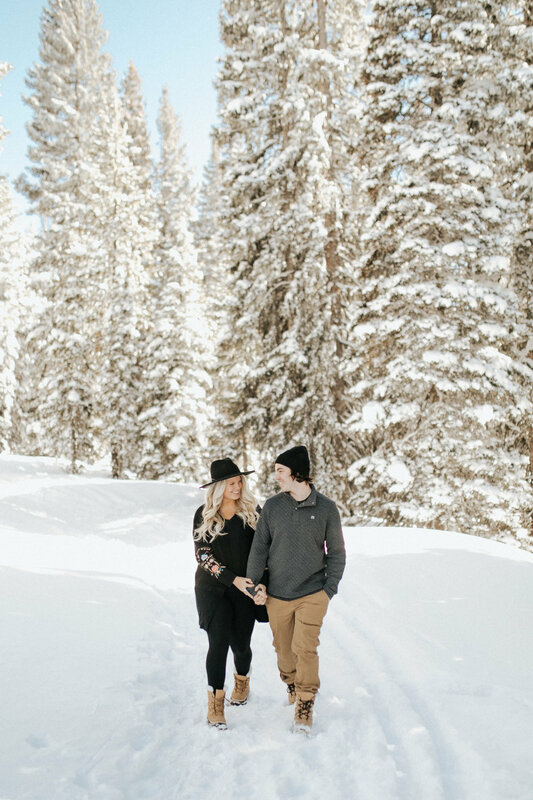 We only have one package for our brides to choose from to make things easy, I have them fill out a questionnaire close to their date so I don’t need to keep checking in with a lot of overwhelming questions, I help them build their timeline, and serve as a resource if they need any other help with outfits, locations, timing, etc. As far as the experience itself, we are going to have fun! I don’t like it when photos have to be a big fuss and feel like a big production. Like I said, I am very go with the flow and relaxed, and after a wedding, my clients always thank me for my calm energy while taking or organizing photos. I know that photography is SO important on a wedding day, but I also don’t want you to feel like you are spending the entire day taking photos, so if it’s possible, we will try to complete all of the photos before the ceremony so you can enjoy your own party afterward! What is your favorite location you’ve shot a wedding (local or non)? My favorite location that I have ever shot a wedding has to be on the coast of Portugal. It was a destination that I never necessarily had on my bucket list, but man, am I so happy that I had the opportunity to go experience it! One year prior to the wedding, the couple got engaged on this amazing cliff that overlooked the ocean, and on their wedding day, we went out an took their portraits on that same cliff! The bride hiked out in her wedges and all of the weddings guests could see us from their rooftop cocktail hour, so you could hear them cheering from afar as I took all of their couple portraits. It was a really special experience and a beautiful location, I feel honored that I was given the opportunity to travel to Europe to capture that one! If you could shoot a wedding anywhere in the world, what would be your #1 choice? I am obsessed with big mountains, so I would have to say somewhere like Banff, Norway or Austria! 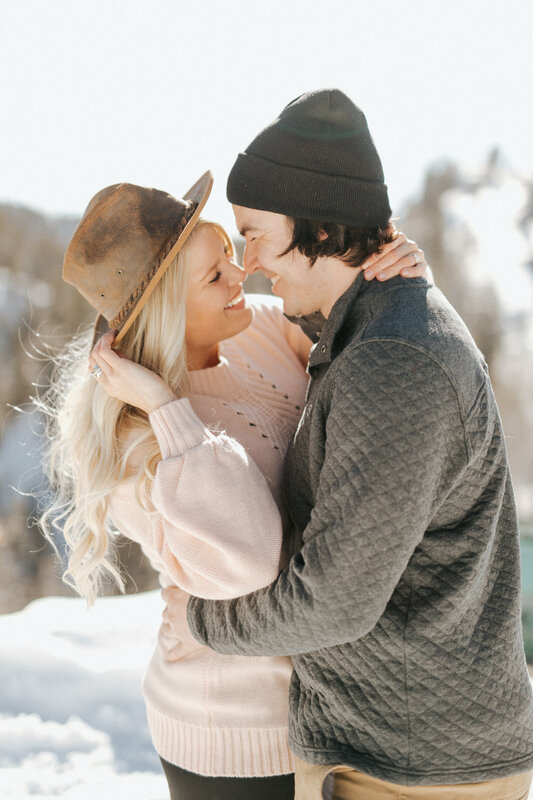 How do you make couples feel more comfortable in front of the camera? Like I mentioned before, I don’t like it when photos feel like a big fuss or production. I like to keep things pretty chill, so we do a lot of walking and talking, and I love to shower them with encouragement during our time together. During portraits, I try to keep my subjects moving and give them “prompts” instead of poses so that they don’t feel like rigid statues! You do wedding photography, but what other services do you offer to clients after they’ve gotten hitched? I offer lifestyle photography and a lot of my clients will do in-home anniversary photo shoots or lifestyle newborn sessions when they have babies! I also work a lot with small businesses to create content for social media and websites, so if my bride or groom has a small business, a lot of times I can shoot commercial photos for them too! It’s always fun to stay in touch with my couples after the wedding and watch them grow their families! You have traveled so many places! What are your top 3 favorite places you’ve been? And where do you want to go next? Oh man, how do I only choose 3!? Where do I want to go next? Everywhere! Ha! We have a ton of trips this year within the US, and it’s my goal to knock off as many national parks as I can in my lifetime! A few places on my list for our next big trip are Banff, Austria, and Hawaii! Tell me about your new Photo Camper! Last year, my husband and I launched Northerly Photo Camper, a traveling photo booth for adventure lovers! We bought a 1960 Shasta camper that used to be a concessions trailer, and we completely gut it and renovated it to turn it into our traveling photo booth! We bring Northerly to weddings, graduation or birthday parties, corporate events, and wherever there is a party. We had such a great time seeing our vision come to life and love to take it to events and see people react to it. It’s the best feeling to stand outside the booth and hear a roar of laughter coming from inside, knowing that you helped create something that brings so much joy.